Here's the County map showing winners at midnight, Iowa time. 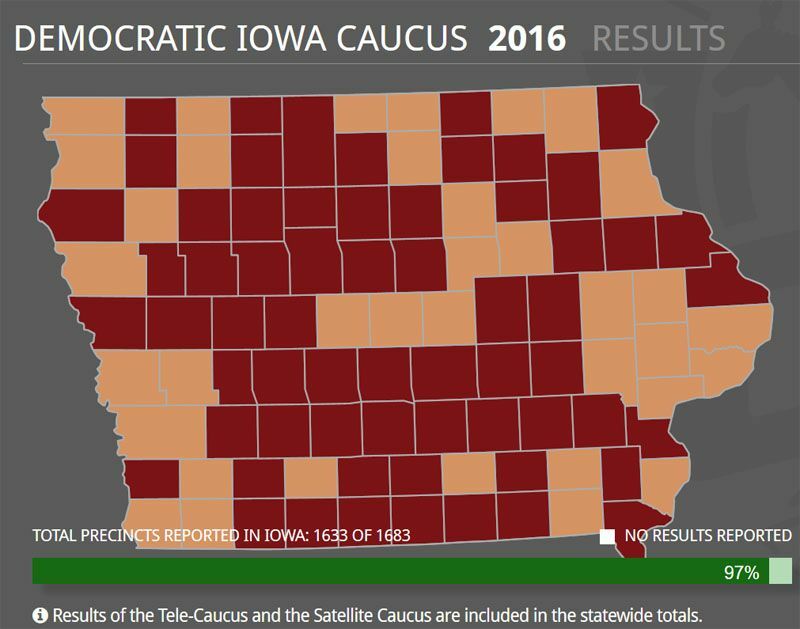 Looks to me like Hillary won a lot more counties. Reality check: A tie in Iowa is actually a win for Clinton. According to our targets at the Cook Political Report, Bernie Sanders would have needed to win twice as many delegates as Clinton in Iowa to be "on track" for the nomination. He's nowhere near that tonight. 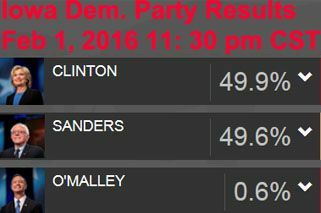 Update: Hillary is at 49.9%.